For everyone working with Citrix, Microsoft or VMware it was clear for years that Lync with videoconferencing wasn’t supported in a virtualized environment. Only chat and presence was back then. 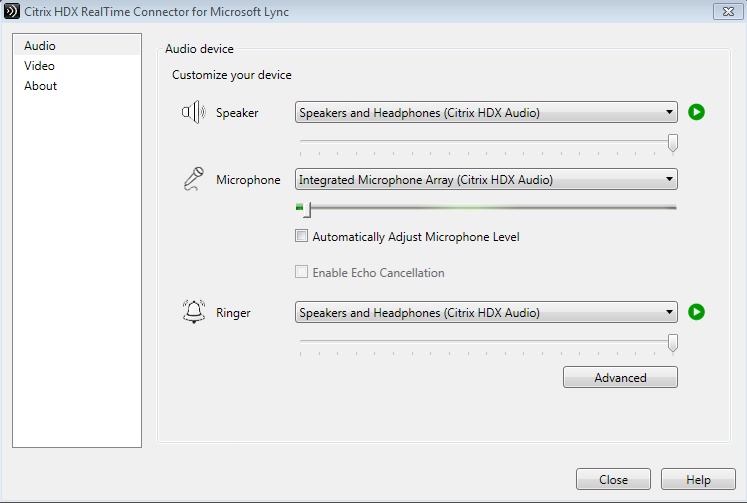 A while ago Citrix released a HDX optimization pack for Microsoft Lync to release customers from this issues. This short blog will show you how @Mlinnebank got this working, credits go to him for his persistence. We noticed that the installation for Citrix XenApp 6.5 was a bit different than on XenDesktop. no matter what we did the client would not be optimized, the server would do most of the work spiking the processor until users complained. Video performance on the client side was pretty awful since the video image as not running smoothly (the server was rendering it). The Environment consists of a HP T610 Windows based thin client, it’s running Windows 7 Embedded. We also tried the Linux based version but that didn’t work as planned. The Citrix environment is a XenApp 6.5 server farm where the servers are streamed with Proivisioning server running Cache in RAM. So to get this to work, you first go buy yourself a HP T610 with Windows 7 Embedded. Then you move to the server, not sooner than after you finish the client… if you do it any other way it won’t work. But there is a catch.. if the versions on the client and the server are different it won’t work. That got me thinking so when I have non-domain joined Thin clients running a certain version and I want to update my server side I break Lync communication… hmm that’s sweet. 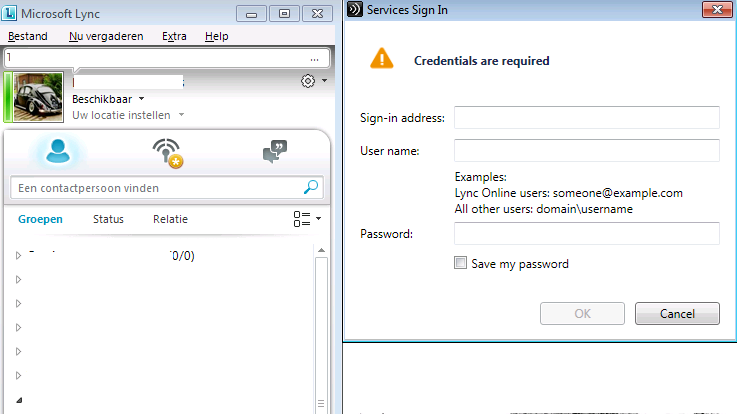 Now as I told before after you installed all things like mentioned before the result is that you can log on to Lync. 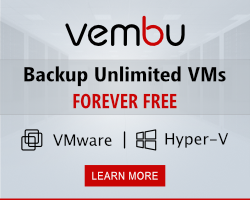 The pop-up is there because the Thin client isn’t in the domain. That’s no different than before but now when we start a video call and look at the optimization screen we notice it’s optimized. When we now look at the CPU of the server it has almost nothing extra to do, perhaps a 10% increase in CPU load.The client however is working, we see a CPU load from 20 to 80% proving to us it rendered locally. The biggest test is the video performance itself, it’s crispy fine video no lag no nothing..
Hope it helps some of you get it to work because not all of us are on Lync 2013 yet.